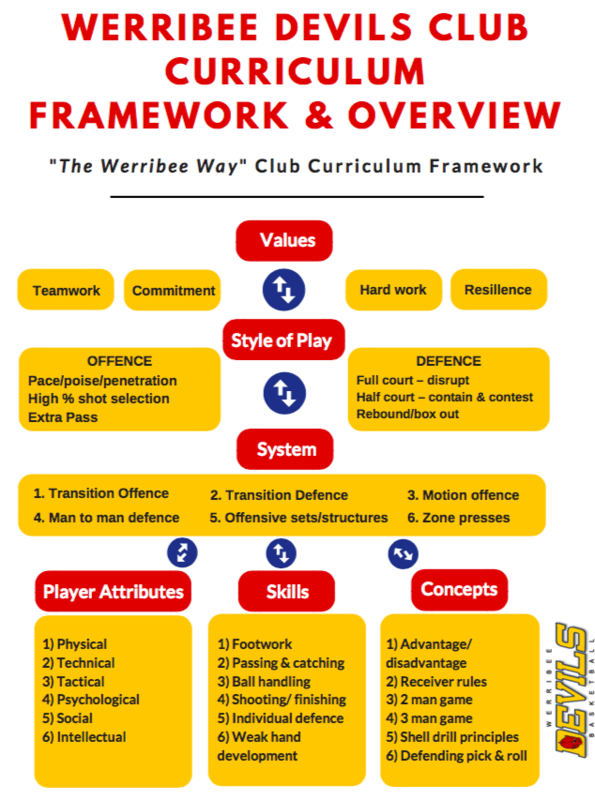 Werribee Basketball is adopting & implementing a Club Curriculum to develop consistency in what is taught, learnt & valued across the entire Werribee Devils Representative Program from VJBL Junior teams through to Big V Senior Teams. Having a consistent philosophy across the program will help develop a clear pathway and program for all players. It will also develop a feeling of club unity and greater integration between all teams, age groups and the junior & senior program. There are numerous examples of professional and association level sporting clubs that have successfully implemented a “Club Philosophy” including Barcelona in Soccer, Cairns Basketball (from NBL down to U/12 Rep) & many more. It is important to note that the club curriculum is ‘athlete centered’, meaning that it is designed to consider “what is best for the athlete?”. The content of the Club Curriculum is aimed to prepare athletes to succeed at higher levels within the player pathway e.g. Basketball Victoria & the Basketball Australia elite athlete pathway, the Senior Big V program, US College system & professional leagues. How was the Club Curriculum developed? Big V Senior & Youth League Head Coaches. Werribee Devils Representative Coaching Leads. Experienced Werribee Devils Representative Coaches. Basketball Victoria High Performance Coaches. High Performance Coaches from other states. Various other experienced professional level basketball coaches & Directors of Coaching from other large Victorian Associations. Compiling documentation already developed by BV, BA & FIBA. Basketball Australia, National style of play developed by Boomers & Opals Head Coaches. The Victorian State curriculum developed by Basketball Victoria. 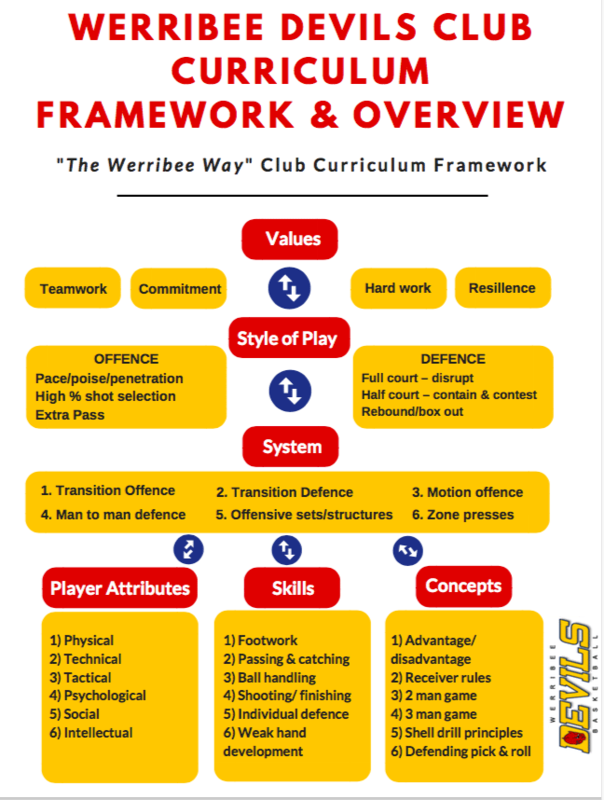 The Club Curriculum Framework provides an overview of what we at Werribee Basketball want to develop in our athletes, teams and the broader Werribee Devils Representative program. It demonstrates the continuity of each aspect of athlete, team & program development and the holistic approach that we undertake when planning the content of the club curriculum. At the top of our framework are our values. Our values determine what our players, teams and overall club promote in all aspects of basketball. Our values link into our style of play, system of play, player attributes as well as skills & concepts we teach. Teamwork, for example, is demonstrated in our style of play through promoting players to sacrifice and work for the best shot for the team. This is achieved through drilling “extra pass” concepts as explained further in the curriculum. Teaching players when & how to make the extra pass is developed through the concepts & skills our players learn. All aspects of the Club Curriculum Framework are interlinked & connected. Who implements the Werribee Way Curriculum? How is the Werribee Way Curriculum implemented? Each age group & gender has at least x3 whole age group workshops during the season. 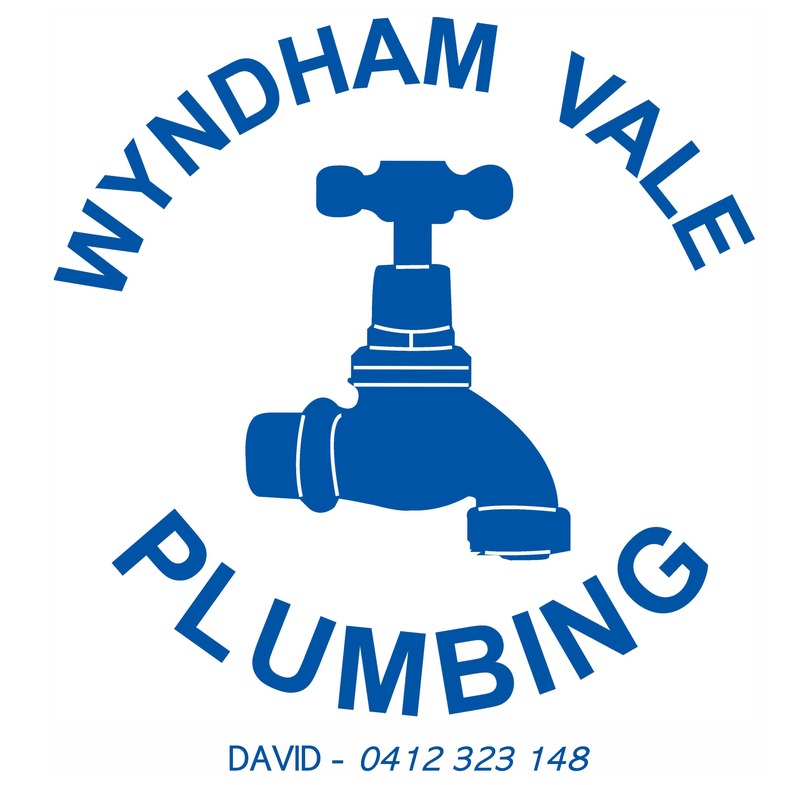 These workshops are held Sunday mornings during regular training times. The sessions are led by the Player & Coach Development Manager and the Representative Coaching Leads, along with team/age group coaches. The Player/Coach Development Manager & Representative Coaching Leads host meetings by with age group coaches and the entire VJBL coaching cohort throughout the year to educate coaches and ensure all coaches are aligned in their teachings/approaches. What other documentation are Werribee Devils Rep Coaches provided with? Provides coaches with guidelines for planning a session, planning trainings, coaching in practices & coaching in games. Outlines coaching policies such as coach dress codes and Basketball Victoria’s Code of Conduct. Provides coaches with diagrams of club offensive & defensive structures. Playbook comprises of mandatory & optional content. Provides coaches with club drills that help coaches implement the Werribee Way Curriculum. Questions can be directed to the WBA Player & Coach Development Manager, Reece Potter.